Toda Ayumi is the designer, illustrator and creator of the Japanese brand, Fabrica Uka. 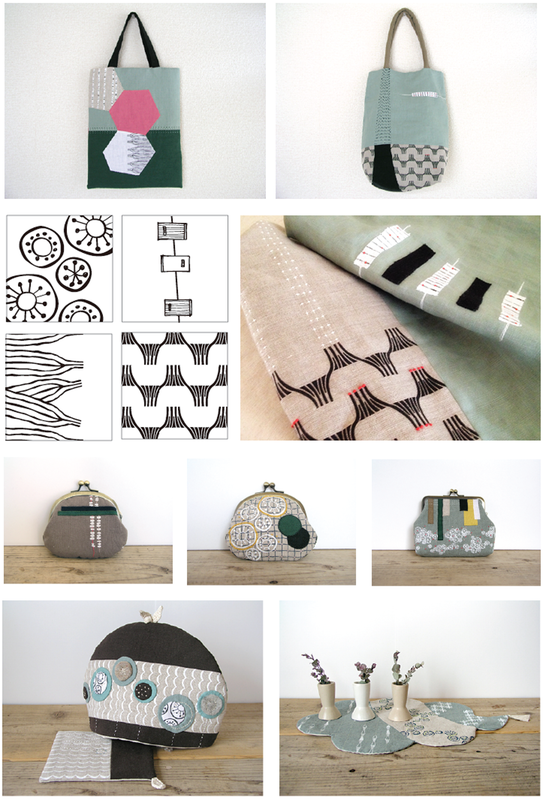 She screen prints her pattern designs on linen and uses it as the basis for her textile product line. The embellishments of embroidery, beading and fabric applique make her contemporary creations truly unique. Images: Courtesy of Fabrica Uka.